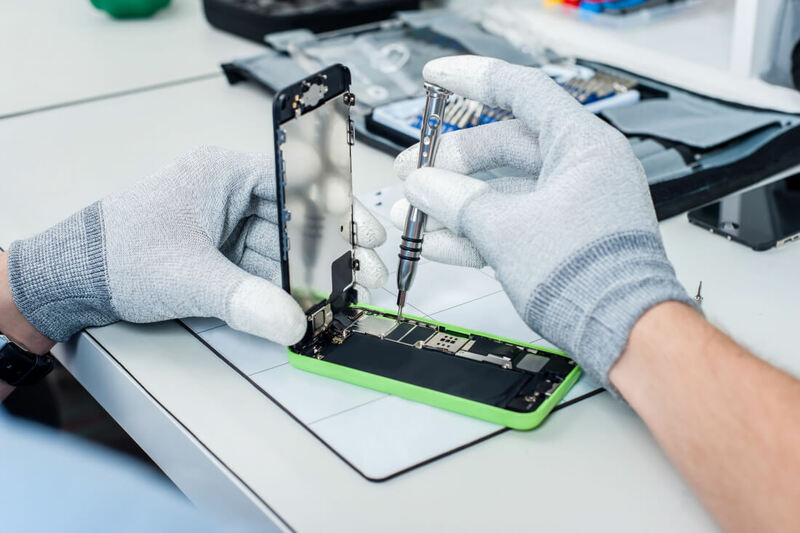 Why it matters: While it’s something companies look to avoid, some phones are more prone to failure than others. Thanks to security firm Blancco's report, we now know which smartphones had the highest failure rates throughout Q4 2017. 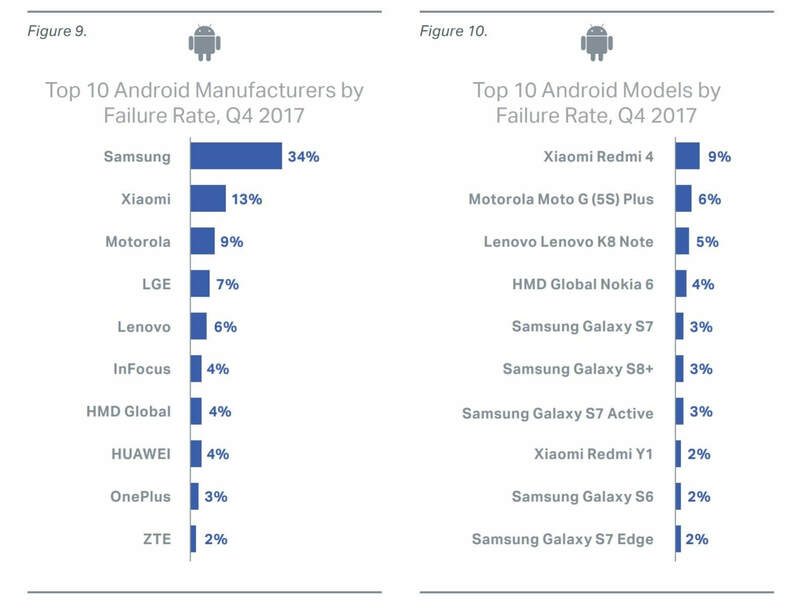 The Mobile Device Repair and Security report reveals that Samsung (34 percent), Xiaomi (13 percent), and Motorola (9 percent) were the three Android manufactures with the highest diagnostics failure rates. But while the Korean firm’s rate is more than double second-place Xiaomi’s, it’s still a huge decrease from its 61 percent in Q2 2017 and 53 percent in Q3 2017, so at least Samsung is heading in the right direction. It’s worth noting that the top two firms account for largest number of Android sales, which means the results are slightly skewed as they have more phones out there that could potentially fail. When it comes to individual models, Xiaomi’s Redmi 4 takes the unwanted top spot with a 9 percent failure rate. Despite being the worst-performing brand, the highest Samsung model is the Galaxy S7 in fifth place with just 3 percent, though it does have five models on the list. The report also looks at the iOS platform. It names the iPhone 6 as the Apple handset with the highest failure rate (26 percent). 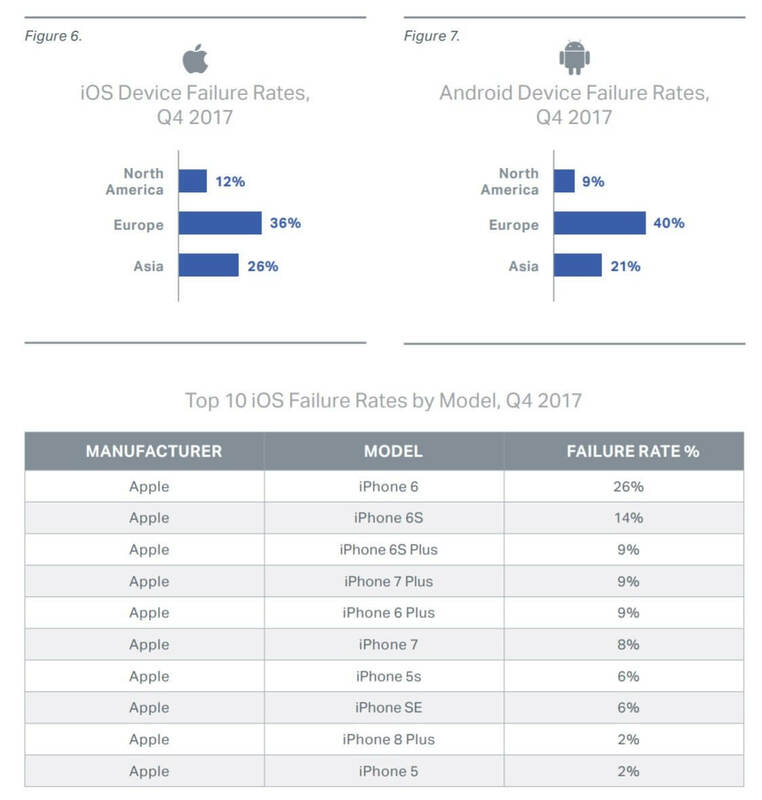 Interestingly, the failure rate for some iPhone models are a lot higher than those of Android devices. When it came to the reasons behind these failure rates, it seems performance was the biggest issue for Android users, which could be related to the number of underpowered, budget handsets that are on the market. The camera and microphone also caused many people problems. 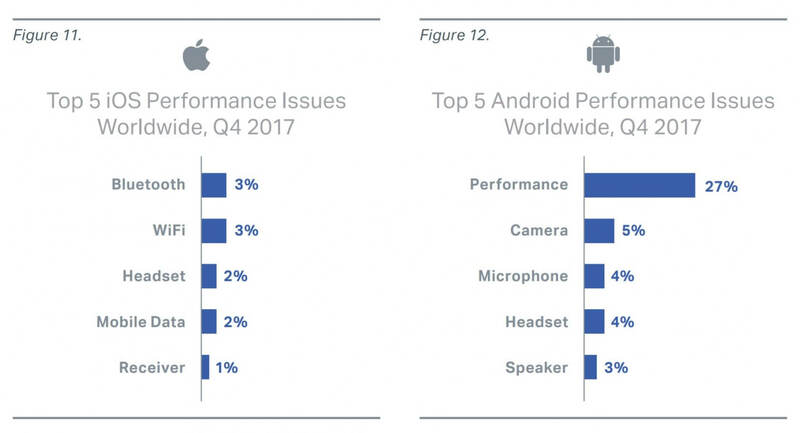 iPhone users named Bluetooth and WiFi as their biggest issues.